You'll be £12.99 closer to your next £10.00 credit when you purchase Famous Robots and Cyborgs. What's this? 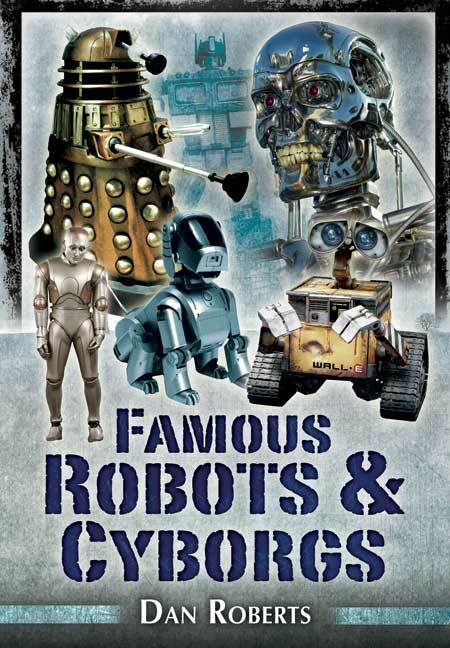 FAMOUS ROBOTS AND CYBORGS is a high-octane voyage through the history of our metallic friends and foes. Dan Roberts narrates the history, strengths, weaknesses, quirks and foibles of a plethora of fictional robots, cyborgs and mechanical races – taking in the pronouncements of sci-fi visionaries and eminent robotics scientists along the way. Famous Robots and Cyborgs guides us through the evolution of the deadly Daleks and invincible Cybermen of ‘Doctor Who’ to movie classics like the mysterious Gort of ‘The Day The Earth Stood Still’ and the astonishing design of Robby from ‘Forbidden Planet’.